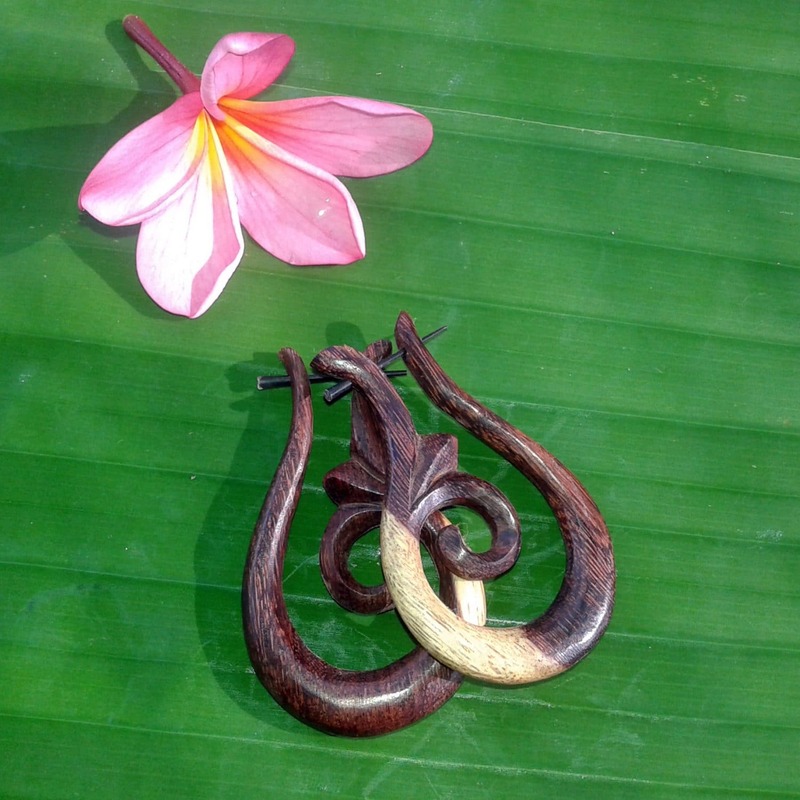 Beautifully carved teardrops with flowerbud sustainable tamarind wood earrings. Natural variations in this special wood range ftom ebony walnut to ivory shades. 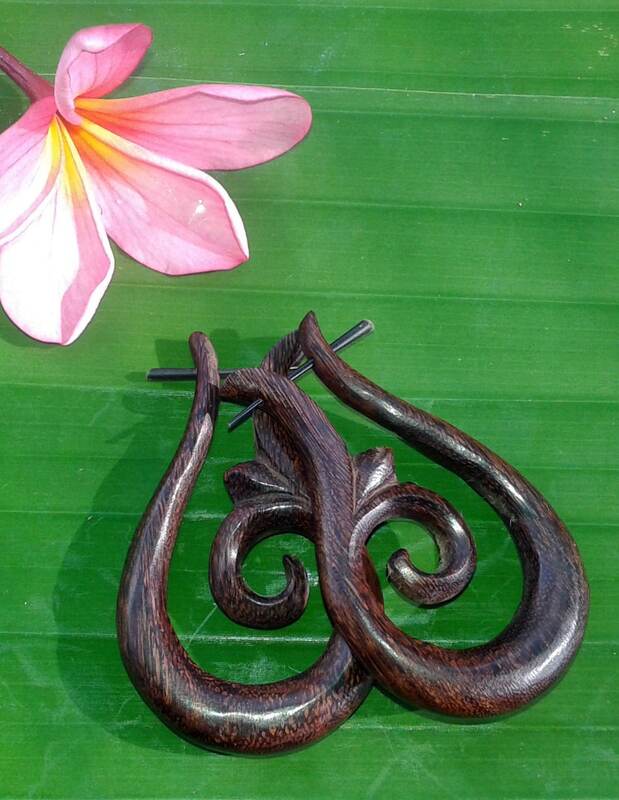 Made especially for us in Bali.